Extraordinary Sejm in Warsaw scuttled by veto. 1750. The summons to convene a Sejm came in May 1750. 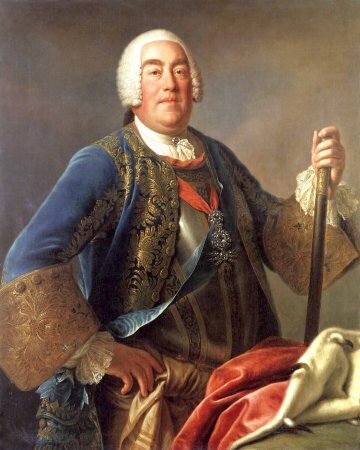 Subsequently, the preparatory local sejmiks or smaller assemblies of landed nobility took place through June, upon which the main gathering - the Sejm - went into session on August 4, 1750. The previous Sejm’s (“old-staff”) Marshal (Chair) who opened the session was Wojciech Siemieński, the justiciar of the Crown. However, one of the envoys, Antoni Wydżga, voided the Sejm by his liberum veto on 18 August 1750 even before the deputies could move to elect the (new) Marshal. See: W. Konopczyński, Dzieje Polski nowożytnej (History of Modern Poland), vol. 2, Warsaw 1986; H. Olszewski, Sejm Rzeczypospolitej epoki oligarchii (1652-1763) (Sejm in the age of oligarchy of the Polish-Lithuanian Commonwealth (1652-1763)) Prawo-praktyka-teoria-programy, Poznań 1966; J. Michalski, Sejm w czasach saskich, w: Historia Sejmu polskiego (Sejm in the Saxon Era, in: History of the Polish Sejm), vol. 1, Warsaw 1984, edited by J. Michalski, pp. 300-349.